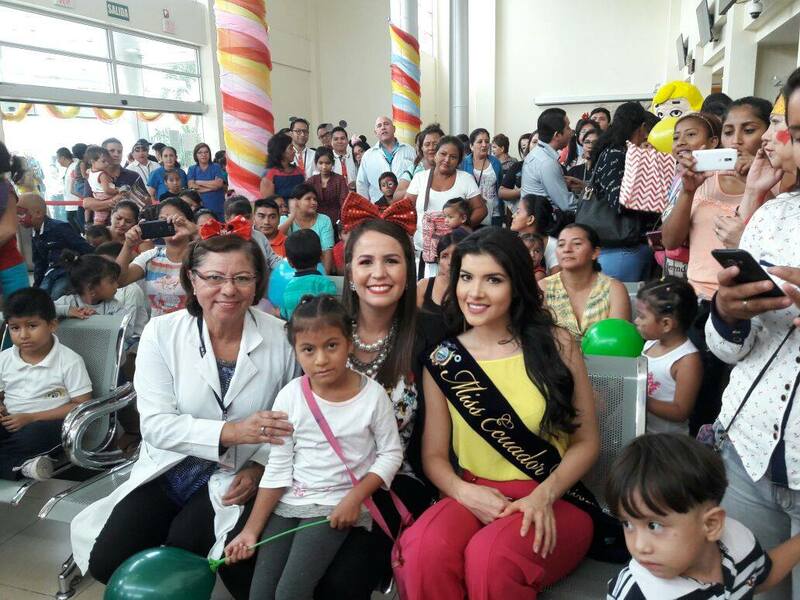 Daniela Cepeda, Miss Ecuador 2017 recently visited the childrens hospital to spend some time with childrens and motivate them. At the Teodoro Maldonado Carbo Hospital in Guayaquil, she interacted with the staff and everyone around. Everyone was seen having a great time and the beauty queen made an effort to speak to children in the hospital and their family. Daniela Cepeda was crowned Miss Ecuador 2017 a few months ago. She will represent Ecuador at Miss Universe 2017 which is likely to be held in November in Philippines.